Minorities from Myanmar face abuses and other struggles in India’s capital. The Indian capital, which shelters more than 8,000 registered Burmese refugees, half of them women and children, remains unsafe for the asylum seekers, according to a recent report from the Burma Centre Delhi (BCD). Female refugees, primarily from Chin State in Myanmar (also known as Burma) struggle in crowded New Delhi for basic necessities such as food, clothing and shelter. In addition, they must battle with constant fear of sexual assault and physical abuse, said Pu Kim, a Burmese exile and founding member of BCD. According to the United Nations High Commissioner for Refugees (UNHCR) office in New Delhi, there are 8,306 Burmese refugees in Delhi, of whom 3,924 are women. Persecution due to ethnicity, religion and political opinion are cited as their main reasons for seeking asylum in neighboring countries. The most frequent complaints reported to UNHCR include “difficulty in communicating with local health and education service providers and inaccessible public hospitals,” according the report. The report, prepared by the Pann Nu Foundation in collaboration with BCD included nearly 20 case studies of Chin minority women. These women, many widows and single mothers, left their country hoping for a better life in India. Every one has a sad story to tell of their struggles in New Delhi, said Dr. Alana Golmei, founding president of Pann Nu Foundation. The refugee families, originally from some of the most remote areas of Chin province, were once dependent on jhum (or shifting) cultivation. Many were surviving as day laborers. But with land confiscations by the Myanmar military, the villagers gradually lost their livelihood. Continued harassment and abuses by soldiers finally compelled them to leave their native land. Often women and girls were compelled to serve military personnel as their porters and laborers. They were allegedly made to serve food and camp in the jungle without proper shelter, unsure when they could return home. “Needless to say, they all lack proper education. The interviewees can only read and write in their local Chin dialect. All these women, who are Christians, had no respite from the military, who would even barge into their houses time and again and demand food. They said the continued sexual assault by the Burmese Army is their worst nightmare there,” asserted Dr. Golmei. 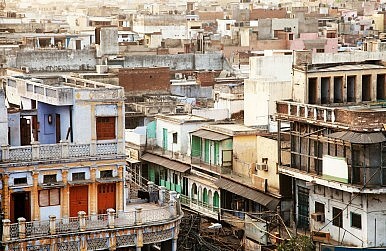 But fleeing to India and particularly the capital city has provided little solace. Life in New Delhi has apparently turned into another nightmare for these refugees from Myanmar. In most of their statements, the women revealed that they have continued to live in fear due to the treatment they have received at the hands of Indian locals. They alleged physical abuse, molestation, sexual assault and rampant discrimination, be it at their rented apartments, workplaces, public spaces or even on the street. To add to their woes is the difficulty finding work and complying with the demands of local employers. However, due to their acute poverty, the refugees remain unable to utilize the public health and legal services. They don’t report sexual assaults for fear of social stigmatization and shame. Even those cases that are reported to the local police stations are either not registered or result in the victim being pressured to abandon prosecution in exchange for cash. “We are raising this to encourage the Indian government to review its foreign policy and taking into consideration women refugees seeking asylum in this country. We also urge the UNHCR and its implementing partners to set up an emergency helpline women refugees in distress to enable timely intervention, as they are more vulnerable and easy targets for sexual assault and other forms of exploitations,” said Dr. Golmei. Nava Thakuria is a journalist based in Guwahati, Northeast India. What’s Wrong with India’s Efforts to Check Human Trafficking?Bangladesh and Myanmar Announce Pending Rohingya RepatriationMaking Sense of India's Revived Interests in BIMSTECThe Opening of an India-Myanmar Land Border Crossing: A Boon for Northeast IndiaCan an India-China ‘Reset’ Help BCIM?